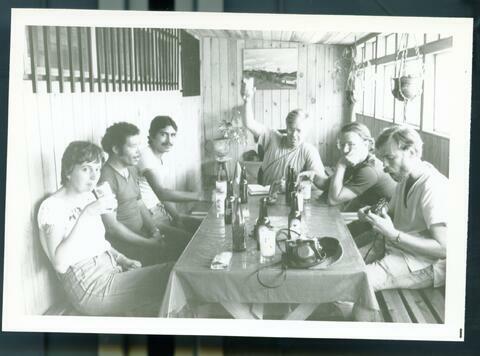 Item MBP-094 - Bruce Cockburn and companions sitting around a table with beer. Honduras, ca. 1985. Bruce Cockburn and companions sitting around a table with beer. Honduras, ca. 1985.